In this article you will learn an easy to create your presentation outline in Word and transfer it from Word to PowerPoint. Strange as it may sound, the best way to create presentation content is not to work on PowerPoint initially. Most business presenters start their content creation by opening a PowerPoint file and by typing on the slides. 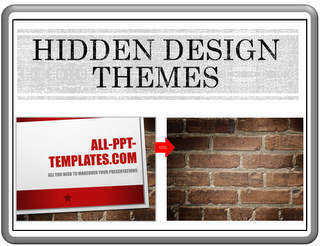 In the process, they waste a lot of time formatting the text and searching for images to suit the content. The presentation doesn’t flow seamlessly because the slides don’t have a cohesive structure. A simple way to ensure a proper flow in your presentation is to step away from PowerPoint and to start putting down your ideas on a sheet of paper or in a word document. This outline ensures that you include all the essential topics in your presentation. The outline helps you get a comprehensive view of the presentation content in a single page. You can move the points up or down to tighten the story line. You can make notes about the kind of charts or graphics you want included to support your argument. If you want your presentation to be reviewed by your peers or bosses, it is much easier to get their views based on the one page outline on a word document, rather than on a large slide deck. In fact, the only time it makes sense to start the PowerPoint program before you build your outline is to browse through the content of the templates at Microsoft site. It is a very simple process to transfer the outline in word to PowerPoint. 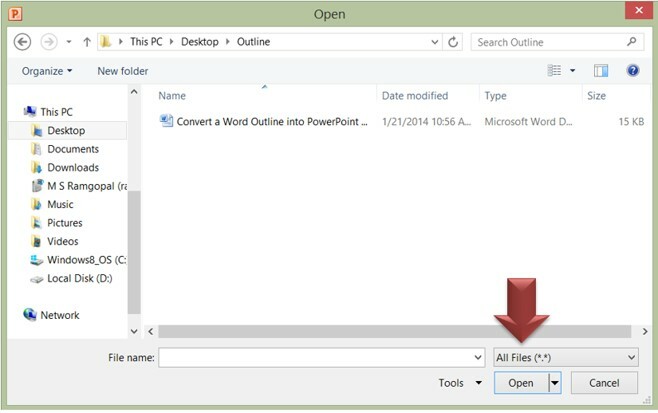 All you need to do is to go to PowerPoint, go to the folder where you saved your word file, change the file type you are looking for to “All files” and open the word document using PowerPoint. The Main headings become the title of slides. The first level sub points become the first level text and so on. Now, all that is left for you to do is to flesh out the content with relevant charts and graphics. 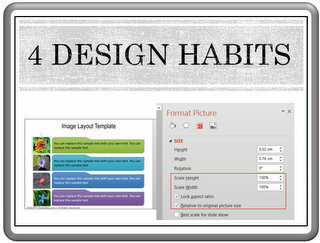 Thus, you can make a compelling presentation with strong outline using word document in PowerPoint.